Running Start enables high school juniors and seniors to enroll in college classes numbered 100 or above while receiving both high school and college credit. Enrolled students can attend college tuition-free and by the time they earn their high school diploma, they can also earn an Associate Degree. 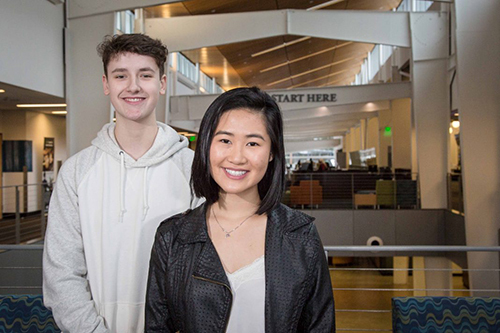 At South Puget Sound Community College (SPSCC), 21 percent of students are in the Running Start program and most plan to transfer to a 4-year college after graduation. For students, the 25-year-old program can be a way to save money on college, have more educational freedom and can be a more accessible path toward future career plans. To learn more about the Running Start Program, or to attend an upcoming Running Start info session, visit the South Puget Sound Community College website.